Well, it's here....2016!! Yay! *confetti throw* Welcome to the future!! I think my theme for this year will be to sparkle! it's all about glitter...glitter...and more glitter!!!! 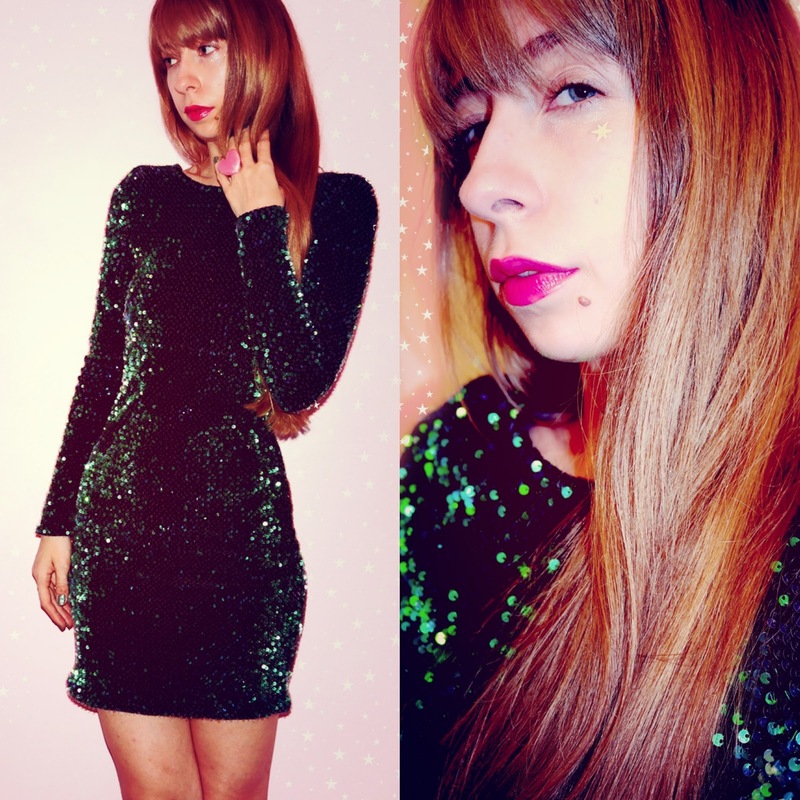 Sequins, glitter, sparkles, anything and everything that shines. Really, one of my New Years Resolutions is to have more glitter in my life...(...that and experiment with more eye makeup which works together quite nicely, doesn't it?). More glitter. More fun. More pretty dresses. More happy things. More tea! More OOTD posts like these! *wink* I need it in my life. I, also, got a box from Influenster (Yay for free potions!!) just before Christmas that had a lip balm from Covergirl called Oh, Sugar that came in the color Sprinkles...a pretty pink and smelled of Sugar and a mascara called Plumpify that I decided to wear. This may be my favorite Influenster box since I got the one with the hot pink detangler brush I use every day. 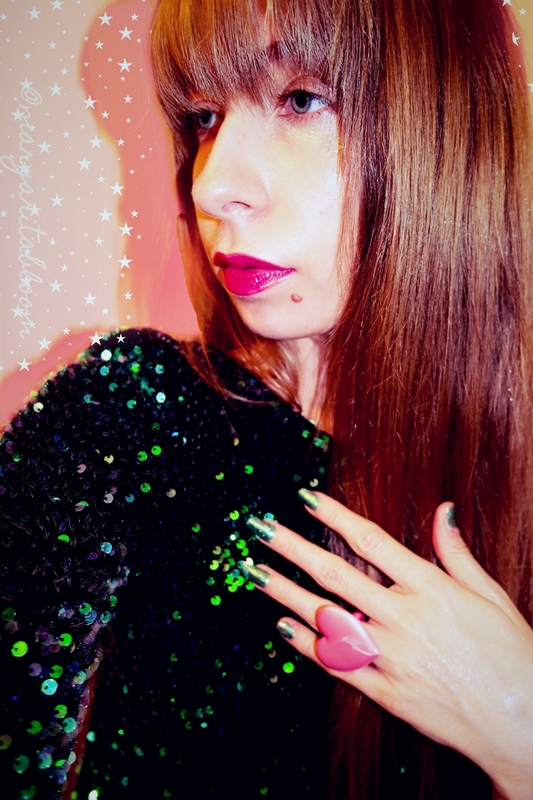 Add a HUGE pastel PINK heart ring and some custom frilly iridescent earrings from Frilly Pops, the cutest little store on Etsy and I was ready to have some fun...after throwing some glitter in my hair of course. I really need to research how to make glitter gel for the hair. Oh, yeah. 2016 = the year of glittery hair! at Margarita Bloom. That's got to happen, oui? Happy New Year 2016 beautifuls!! P.S. It's my birthday month...so even more reason to celebrate with GLITTER!!!! Yas!